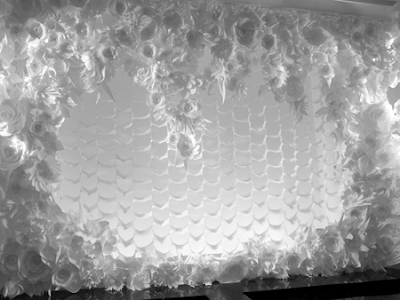 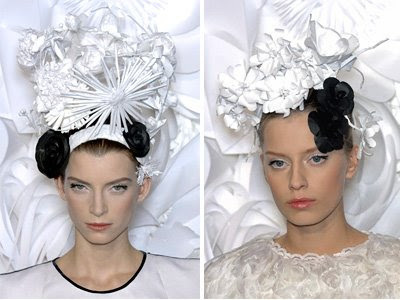 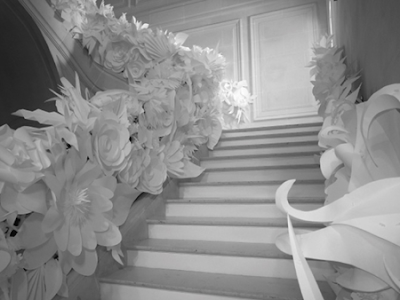 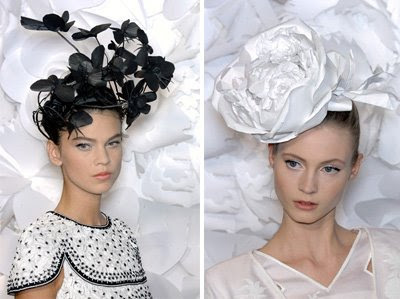 Here we have amazing paper-installations for Chanel's 2009 Spring/Summer Haute Couture show. 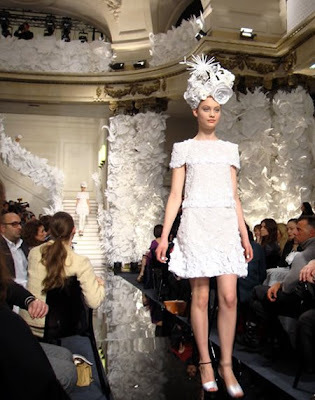 These are photos of the paper flowers lining the runway and draped throughout the venue of the Couture show. 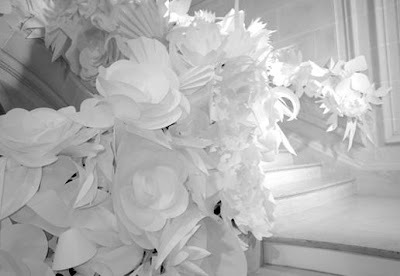 According to the Chanel website, there were 7,000 handmade paper flowers, created using 4000 square meters of paper, which took a total of 4,800 hours of work to assemble, all in one color.